Kodak Black was working on his new album Heartbreak Kodak before his arrest. Project Baby is now currently behind bars facing seven felony charges stemming from an arrest in a police raid on his home last month. Urban Islandz now learned that he was working on his new project before he was taken into custody and charged with child endangerment, marijuana possession, and grand theft of a firearm. Earlier this month he announced his new album and now we know that the project is titled “Heartbreak Kodak” and will be released on Valentine’s Day (February 14th). Last month, he released his new single “Fall Thru” and earlier this month he released “Erykah Badu” which will be featured on the album. 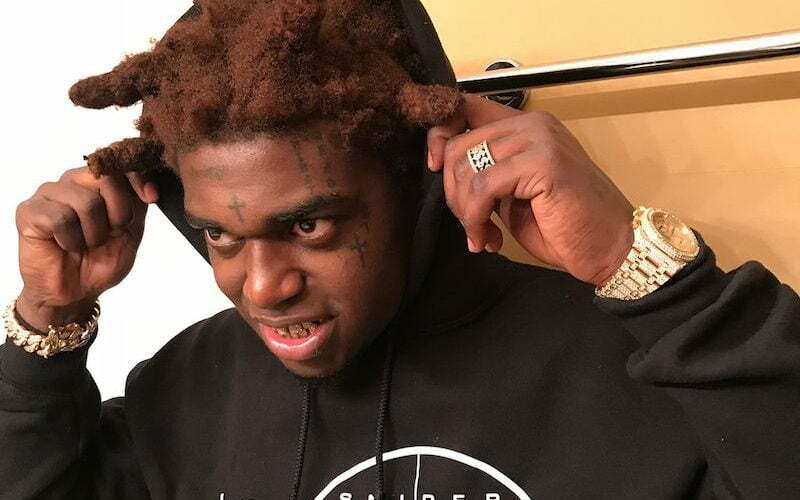 Kodak Black is dropping new music, but he is in a world of legal troubles. He was under house arrest at the time of his arrest in January and was also charged with probation violation. He recently got a small break in his case when the presiding judge Joel Lazarus was removed from his case for making some inappropriate comments in court about bail conditions. His next court date is February 23 when his lawyer will again apply for bond. Lazarus previously denied him bail sparking an outcry from his fans and his legal team. The album Heartbreak Kodak will be available on all streaming platforms at midnight.